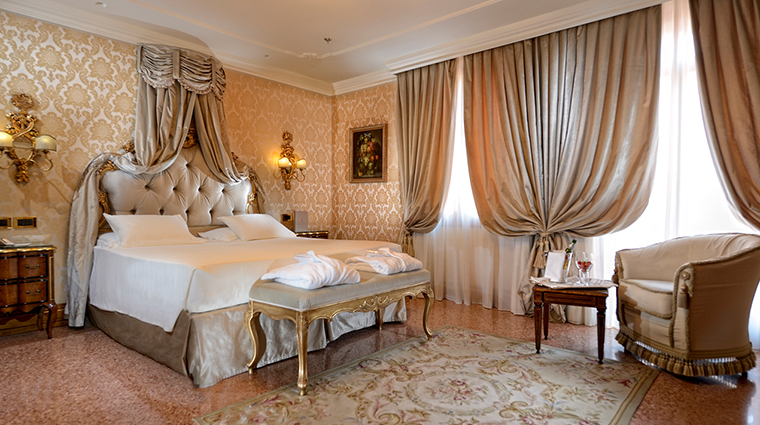 Venice is full of palaces that have been converted to hotels, but the lovingly restored Ai Reali di Venezia has managed to maintain the atmosphere of a private home in what was the 17th-century residence of the aristocratic Corner family. 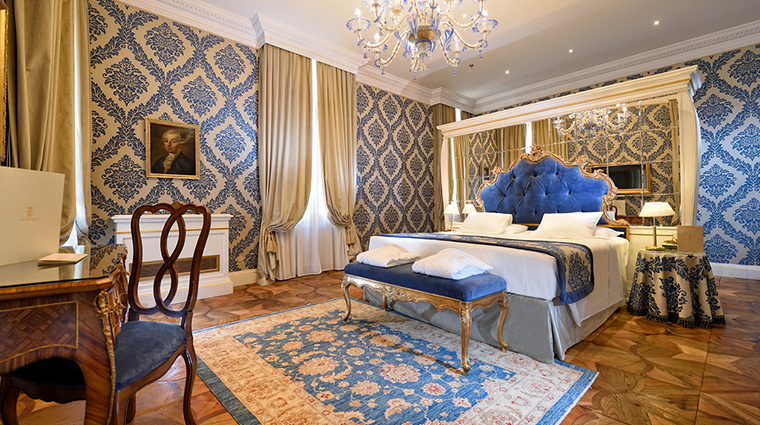 With only 37 rooms, curious little corners and nooks, beautiful antiques at every turn, and modestly proportioned public areas, this hotel inspires the pleasant sensation that you are staying in the Venetian townhouse of refined but congenial relatives. 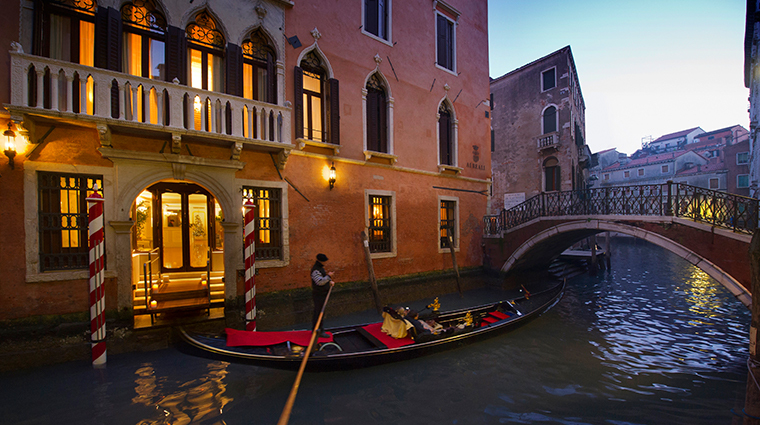 The hotel is centrally located only a few minutes by foot both from the Rialto Bridge and the Piazza San Marco. 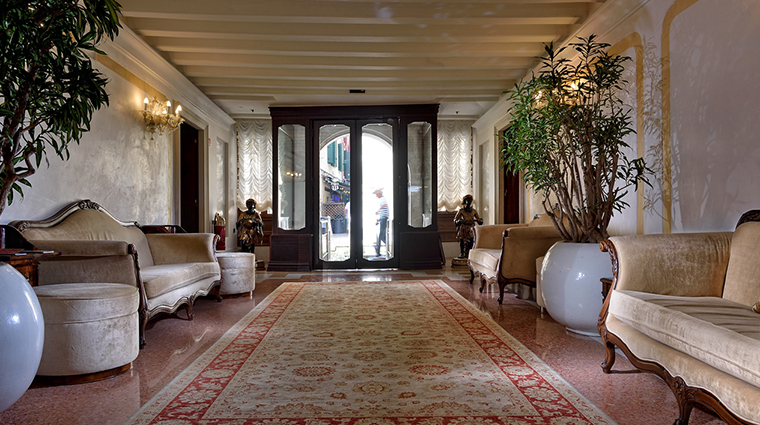 Opened in 2012 after a yearlong renovation, the boutique hotel has your typical luxury amenities (Wi-Fi, flat-screens, marble baths) and has one of the most comprehensive spa and wellness centers of any hotel in the heart of Venice. Keeping so much of the old while adapting seamlessly to the new is what gives the feeling that you’re staying in a gilded, well-managed family home. Many rooms and even hallways are furnished with authentic antiques such as lacquered 18th- and 19th-century bureaus and exquisitely inlaid tables. Flooring is either the original parquet or Venetian terrazzo stone, softened by graceful Aubusson-style carpets. The two-flight white marble staircase gives just the right touch of stateliness but was cleverly calculated to be surprisingly easy to climb. Many of Venice’s palaces had their own private water supply via wells, but many wellheads are now gone. Here, the original stone wellhead carved with the family’s coat of arms has remained in its place just inside the entryway. Two towering palm trees not only add lushness to the flower-decked walled garden, they have been listed on the register of the Venetian Superintendency of Architectural Heritage and Landscape. The second-floor hallway known as the piano nobile, or “noble floor,” can be arranged for any group function and the two large reproduction paintings by Venetian artist Giovanni Bellini add glamour to anything from a business meeting to an enchanting small wedding. There is a water entrance to the Venice hotel directly from the canal. Be aware of steps in this former residence; a number of rooms have one step at the main door, and also a step into the bathroom. You can order tea and coffee served in the charming little library, or anywhere else you feel like pausing and relaxing. There’s also live piano music is played four times a week in the intimate lounge-bar. The gym has a Technogym treadmill, free weights and a large Swiss ball, but the room is fairly small, so you may find yourself working out somewhat closer to other people than you’re used to. Two rooms at the luxury hotel are designed for complete handicapped accessibility. Some bathrooms have walk-in showers, some have tubs and shower. If it makes a difference to you, be sure to ask when booking. Most of the rooms are decorated in restfully pale palettes of ivory and ecru, but there are two rooms which feature red, if that’s your favorite color. 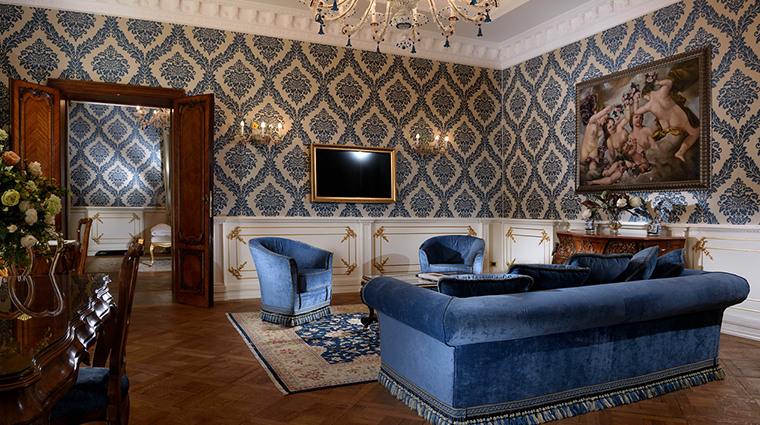 When the flat-screen televisions are attached to the wall, they are placed within a gold picture frame so they blend with the ornate, classical décor. The wall in the Luxury Suite Canal View features the rediscovered and restored pair of 16th-century Veneto-Byzantine stone window frames that once looked down on the internal courtyard. The safes in the rooms are large enough to accommodate laptops. There is a rather lengthy choice of massages available, but for deep relaxation try the Reali Massage, a combination of soothing Thai, Swedish, and Hawaiian lomi-lomi techniques. To relax your wound-up body, choose a Thai herbal massage. There’s an 80-minute version with warm herbal compresses placed at strategic points on across your entire body, or a 50-minute version that concentrates on your back. In the summer, spa treatments can include time in the sun on the typical Venetian altana, or open-air roof terrace. The spa has a small pool with hydromassage, Turkish bath, aromatic shower and an ice waterfall (perfect for immediately after hitting the sauna or steam rooms).